With Worlds coming up, I want to talk about my favourite deck: Honchkrow/Tapu Koko. As always, we’ll be deciding whether the deck earns the title Best Deck in Format or Bad Deck Idea Friday! Honchkrow/Tapu Koko can deal massive amounts of damage with a bit of setup. Damage counts can start reaching ridiculous number (300s, 400s +). You’re running one prize attackers that can 1HKO your opponent’s Pokémon a great deal of the time. This deck aims to punish your opponent for every choice they make. Sounds like one of those bad spiels you read before a really terrible deck list gets posted. There are flaws with this deck and I will be the first one to admit it. Your opponent can play around what you’re doing. They can Bench fewer Pokémon, Field Blower away your Stadiums or run cards like Machoke (GRI) or Mr. Mime (BKT) to stop you doing damage to the Bench. Then you need at least one turn (preferably two) of Tapu Koko before you can start swinging with Honchkrow. And of course each KO reduces the damage you will do next turn. But with the combination of different ways to do damage in this deck, it overcomes these drawbacks to shine. Like Vespiquen, this deck is a glass cannon deck. You need to be ready to lose your Tapu Kokos and Honchkrows. However, once you start sweeping it is really hard for your opponent to stay in the race. You always want to open with Tapu Koko to start spreading the love. I choose to go second to start doing damage as quickly as possible. A couple of turns of Tapu Koko putting 20 damage on everything and it stacks up! You’re going to have to sacrifice a Tapu Koko or two before your Honchkrows can start OHKOing everything. However, as they are only worth one prize to the opponent that’s ok! Going two prizes down is not really a problem for this deck. But three prizes down and things start looking iffy, so be careful. I keep a couple of cards on the side that I can switch in and out before events depending on how I want the deck to play. Trainers Mail can help the deck run smoothly (-2 Bursting Balloon), Choice Band is an obvious, well, choice (-2 Bursting Balloon), and the addition of Drampa-GX (GRI) can be a great two of (once again probably -2 Bursting Balloon). The only trouble with Drampa is that whilst you’re hitting with him you’re not pulling off your main strategy of spreading damage. To counter that, I’d definitely be running two Choice Band so that he can start trying to take 1HKOs for me (-1 Teammates, -1 Hex Maniac) and possibly a Professor Kukui (-1 Shaymin-EX as with two Lele this isn’t suicide anymore). This of course starts to make major changes to the deck, so it’s not a strategy that I employ often as it hurts the consistency. I choose to run two copies of this for the main reason that Krows can function absolutely fine without Abilities. I actually came close to adding Garbotoxin Garbodor in to the deck for this reason. However, I felt that the addition of six new cards (two Trubbish, two Garb, two Float Stone at least) would damage the consistency too much. But there are a lot of decks out there that rely on their Abilities. So, I chose two Hex Maniac. This increases the chance of drawing one. It also makes sure that if one was prized it wouldn’t be a problem. A timely Hex Maniac can swing entire matches, so I felt that it was definitely worth the extra space! There was one huge problem I had when I started trying to build Krows. Both getting set up and recovering after being KOd was not a guarantee. Finding the Murkrow/Honchkrow was easy enough with the Supporters and Items that are designed for just that, but finding the DCEs proved difficult. The only real card we have to find Special Energy at the moment is Energy Loto. I’ve found that running two of this card has really boosted my ability to set up. It’s just a no brainer in a deck that relies on its DCEs! Like Hex Maniac, I run two copies of Teammates. One would probably be sufficient, but I’ve found that being able to guarantee Teammates is just too powerful. When one Honchkrow goes down, you Teammates to make sure you have at least one more set up. So, to mitigate the risks of prizing one Teammates and to increase the chances of drawing it, I run two. YMMV. I hope that the reason for running this card is obvious. Should the opponent hit into it, they take 60 damage thereby increasing your overall damage count. Should they Field Blower it away, that’s a Field Blower that isn’t taking out your Stadium later on. In an ideal world I’d be running four of these suckers and maybe an Eco Arm to pull them back for extra annoyance factor. However, I just couldn’t find the space. Still, I find two is enough to bring your opponent up short and hopefully pepper some more damage across the board. I’ve really ummed and ahhed over this one. Originally, Brock was actually Karen (make of that what you will) to counter Vespiquen and get rescue all the discarded Pokémon at once. In the end I went with Brock as I feel that right now, Drampa-GXs Righteous Edge is a bigger threat to this deck – or at least one I’m more likely to face – and so I needed a way to recycle those precious four Electric Energy along with choosing which Pokémon get returned to the deck. As the card you want to start with, conventional wisdom says that you should run four copies of it to maximize drawing potential at the beginning of the game. Maybe this is me showing why I’m not a top player, but I find three to be just enough to pretty much always start with it and gives a slot for something else. You can tell I started writing this just after Michael Pramawat won Madison Regionals with his Vespiquen deck. Bees is always a tough deck, though it hasn’t featured as much in the meta recently. However, we have a few things going for us here – Vespiquen prefers to face 2 Prize attackers and our main attackers are all worth 1 Prize. Vespiquen is a relatively low HP attacker, so we only really need 1 round of Tapu Koko to start OHKOing them. And even if they run Mind Jack Zoroark, our deck doesn’t often run at a full bench and often only has Tapu Lele and 2 back up Krows on it, making it a 2HKO to our 1HKO. Overall, Vespiquen is an OK match up for Honchkrow/Tapu Koko. People who play Gyarados do not like this deck. Gyarados relies on keeping their 30HP Magikarp damaged but alive on the Bench, and between Team Magma’s Secret Base and Tapu Koko, we can eat them alive every turn. Their main attacker is also weak to electric, so they’ll be taking 40 damage in the Active spot from a Tapu Koko. We’re also running electric energy so that if necessary we can power up a Tapu Koko to hit Gyarados for weakness doing 200 damage. Overall, Tapu Koko can pretty much handle this deck by himself, and will often win because the opponent simply has no more Pokémon to play. A fun tech if you think you’ll be facing a lot of Gyarados decks is Wide Lens from Roaring Skies, assuring that you’ll be hitting Benched Magikarp, Gyarados and any Shaymin-EXs for 40 damage each instead of 20. Garbodor is difficult one. This deck is running at least an average number of items if not above average, and Honchkrow is a relatively low HP attacker in this format, making it an easy KO for Garbodor. However, Garbodor’s HP is also relatively low at 120HP making it an easy return KO for Krows. Drampa/Garb players do help us out by running Team Magma’s Secret Base and/or Rainbow Energy to up our damage count for us. In the end this matchup probably comes down to who can KO first and who can stream attackers the best. I’d be tempted to say Garbodor has the upper hand as with each KO our damage count goes down and Garbodor also usually runs Drampa-GX whose Righteous Edge can be a real problem for us – though that is exactly why we run three Special Charges and four Electric Energy. There are several variants of Decidueye. I’ve found that Vileplume is a nuisance to Krows, but the deck can cope without items. It’ll be slower, and if I think I’ll be facing lots of item lock I’ll boost the Tapu Lele and Shaymin counts. But the real problem for Krows is Decidueye itself. With two feather arrows and a Leaf Blade they can take the OHKO. They’re 250HP means that it is extremely hard to get the 1HKO in return. The two copies of Hex Maniac really help here, but unless you plan to chain Hex, there’s only so much they can do. All in all, Honchkrow is a super fun deck to play and I would definitely recommend it to anyone. You won’t win all your matches but you’ll do well enough to really make an impact. Given its matchups I think this deck is probably a Bad Deck Idea Friday but you never know! It’s Meta Monday again! This week we’ll look at the results from Liverpool Regionals 30/31st July. We’ll also talk about the decks that Poké-Post thinks we’re likely to see at Worlds this year. Before Liverpool the field was relatively open with seven different decks taking the top eight spots at North American Internationals. Liverpool saw the collection of top eight decks narrow. Drampa-GX/Garbodor took three spaces, Ninetales-GX took another three. Decidueye-GX/Vileplume took one spot and Decidueye-GX/Ninetales-GX took the other. Ninetales-GX is a deck that has really gained traction recently. When Guardians Rising released initially it was not a deck that populated the top tables in big events. However, Ninetales has two things really going for it. Alolan Vulpix has a brilliant first attack – for no energy Vulpix can find two Pokémon from the deck and put them into your hand. This is consistency in a card and consistency is one of the things that Ninetales excels at. The other is recovery. Ninetales’ main attack does 160 damage for the cost of discarding two Water Energy from Ninetales. But Aqua Patch, also printed in Guardians Rising, can put those Water Energy straight back on. 160 will KO a Garbodor in one shot. With a Choice Band it will also KO Tapu Bulu-GX, Drampa-GX, Necrozma-GX, Ho-Oh-GX, Volcanion-EX and Tapu Lele-GX. Ninetales is also versatile. It’s first attack pairs well with Decidueye-GX, doing 50 damage to any Pokémon. Ninetales protects Decidueye so that it can snipe from the Bench. All in all, we can expect Ninetales to continue its strong performance and place at Worlds. Garbodor has been a strong contender since its release in Guardians Rising. Since then, Garbodor has won Seattle Regionals, North American Internationals and Liverpool 2017/18 season Regionals. A formidable deck, Drampa-GX can deal 150 damage (180 with Choice Band) Turn 2. Meanwhile, Garbodor does damage based on the number of items its opponent has played, making it a potent closer. Overall, Garbodor is both consistent and hard hitting. A one count of BREAKPoint Garbodor shuts off Abilities, countering decks like Metagross-GX, Tapu Bulu-GX and Decidueye-GX. Other disruption cards included in Garbodor – such as Delinquent and Team Flare Grunt – slow the opponent. Navigating this disruption can force the opponent to play more item cards. Drampa-GX can also discard opponent’s Special Energy with its first attack; and if necessary its GX attack can get you a hand of 10 new cards. Garbodor is the obvious winner of Worlds this year. But there are other decks emerging from Burning Shadows that may be able to provide an answer to Garbodor. Let’s take a look at some of them. There has been a lot of talk about the potential of the new Gardevoir-GX from Burning Shadows. Gardevoir managed to win the Japanese Nationals (Japan’s releases are different to ours so they had the card before us). It can largely avoid playing items. The main attack is a reprint of Mega Mewtwo-EX’s Psychic Infinity attack, doing 30x the amount of Energy attached to both Active Pokémon. But Gardevoir does not have Mewtwo’s tricky Weakeness to Psychic, avoiding the auto-loss to Garbodor. Whilst Gardevoir is a Stage 2 Pokémon, this elevates its Hit Point level to 230, taking it out of 1HKO range for most attackers. Fairy is also a really strong type right now. Gardevoir players can think about teching in Fairy Garden for free retreat. They also have access to Diancie from Burning Shadows, who can evolve your other Pokémon as an attack, or alternatively attack to heal 30 damage from each of your Fairy Pokémon. Players might consider Comfey from Guardians Rising to protect them from Special Conditions (a big part of Burning Shadows). Or there is Ribombee from Burning Shadows, who can take Fairy Energy from deck to hand ready for Gardevoir to attach with its own Ability. Gallade also evolves from Ralts and Kirlia, meaning that Gardevoir players can choose to include a one- of two-of Gallade. In particular, Gallade from BREAKThrough allows you to look at the top five cards of your deck and rearrange them to suit you. As long as they have access to Abilities then, Gardevoir players can avoid playing some items in favour of Pokémon with useful Abilities, to limit Garbodor’s damage output. The Abilities also give Gardevoir players consistency. The Resistance to Dark Pokémon also means that Darkrai-EX/GX and Yveltal players have to work harder to take Gardevoir down. Even if Gardevoir players choose to build a more straight forward list without making use of supporters Pokémon, in theory they should be able to outspeed Garbodor decks. The addition of Guzma means they cn pull in Garbodor during the early game for the KO. The fact that Double Colourless Energy counts as two Energy for Gardevoir means you can in theory add 90 damage a turn to your count. There needs to be four Energy in total attached to both Active Pokémon for Gardevoir to get the one-shot on Garbodor. Drampa-GX cannot return the 1HKO, but with three Energy attached for Berserk, Gardevoir only needs three on itself to KO the Drampa. Decidueye-GX/Ninetales-GX will prove more difficult for Gardevoir decks that choose to make use of support Pokémon, as their lower HP will make them easy targets for Bench sniping. Decidueye also has high HP at 240, making it a difficult KO for anyone. But if players use Gardevoir’s Ability to attach an Energy from the hand for free, the accerelation should mean that Gardevoir can KO the Decidueye in two to three turns. Given the success Mega Mewtwo-EX has prior to the release of Guardians Rising, we know that Gardevoir will do well. The question is how well will it do at Worlds? We’ll all be waiting to see. Last week I said that I didn’t understand Darkrai-GX. This week I can see why it is an inclusion in Darkrai-EX decks, and it may be the boost that Darkrai-EX needs to start placing at events again. Darkrai does 20x the Dark Energy attached to all the Pokémon on Darkrai’s side of the board. This used to be a really powerful deck and one which was my favourite for quite a while. Recently its success has dwindled as Sun and Moon Base Set saw Pokémon with higher HP and stronger attacks being printed. Darkrai-GX is extremely useful to Darkrai decks. You can discard Darkrai-GX while Ultra Balling for something, playing Sycamore etc. You can then use its Ability from the discard pile to place it on your Bench and attach an Energy to it from the discard. It hasn’t got a brilliant main attack itself, but it is basically a free Energy for Darkrai-EX. Its GX attack is powerful as it can Knock Out the opposing Pokémon if they are currently affected by a Special Condition. However, it is an individual choice whether Darkrai players choose to tech in Special Conditions to use this attack or not. I’m not sure that Darkrai-GX will be enough to see Turbo Dark place at Worlds this year, but it is still one to keep an eye on. Looking at the way the meta has been recently, especially the results in Liverpool, I think there’s a storm brewing with one Pokémon (or rather two) at the heart of it. With Ninetales-GX and Gardevoir-GX on the rise, I believe that we’re going to watch Necrozma-GX/Metagross-GX come out of left field and sweep to victory. Necrozma’s Ability makes it immune to damage from Normal types. Drampa-GX and Tauros-EX won’t be able to do a thing about it. Metagross can find both Psychic and Metal Energy from the discard pile and attach them to the Active Pokémon, meaning Necrozma can be recharged each turn but also meaning that Metagross can be set up in a turn if it is needed. Both Gardevoir and Ninetales will be Weak to Metagross, turning attacks into 1HKOs. Tapu Lele-GX and Garbodor are Weak to Necrozma (Necrozma is Weak to Garbodor but Tapu Lele’s attack specifies that it doesn’t hit for Weakness). Metagross can also 1HKO Garbodor. Before Necrozma, Metagross players had to worry about being Weak to Volcanion-EX, but Necrozma is not Weak to it and can 1HKO it. Of course, Necrozma/Metagross is as weak to Garbotoxin as any Ability deck. However, both Field Blower and Guzma mean that Garbotoxin is a fading threat. Necrozma is the Basic Pokémon partner that Metagross has been needing. As a meta call, Necrozma/Metagross should do well at Worlds. It’s difficult to say whether it will defeat Garbodor consistently, but only time and testing will tell. I think that it is the deck to watch for and – especially if Gardevoir turns out in force – should be a formidable pairing. You might also want to think about Rescue Stretchers and/or Max Potions in this list, although it includes both Brock’s Grit and Acerola. The question is whether you can get set up in time to stay ahead in the match. If you can, it should be a good match. If not, then take a leaf out of Decidueye’s book and think about Trainer’s Mail, Oranguru or Shaymin-EX. But this is my call for Worlds and even though I’ll probably be horribly wrong, I’m sticking with it. Let us know what you think! I love the release of new sets. It really gets my creativity flowing. So many new decks to try! What’s more, with Burning Shadows releasing this week (August 4th) we are only three weeks away from Worlds! Everybody breathe. So, what can we expect from the next set? There are some great new Pokémon coming out of Burning Shadows. For the collectors out there, get your hands on Charizard Rainbow Rare and get it PSA graded as quickly as you can. For the players, here’s a break down of my favourite Pokémon from the next set. Yes people, the hype is real. We’ve been play-testing Golisopod and it has the makings of a brilliant card. Turn 1 120 damage for one Energy, thank you very much! With Forest and the Ability on this set’s Wimpod, that is easily achievable. Better hope the opponent has something on the Bench. Paired up with Golisopod (GUR 9/145) and Lurantis-GX (SM15/149) /Lurantis Promo if you’re in the mood; this thing is vicious. A real Grass toolbox Pokémon. Probably not what you were expecting me to start with. However, this is an interesting play. I don’t think there will be decks built around Araquanid obviously , but I can easily see this included in grass decks. Maybe not Decidueye/Vileplume as there isn’t a lot of space there already! But for any deck playing Forest of Giant Plants, Araquanid with a DCE turn one stops your opponent from being able to attach Energy from the hand to their Active Pokémon for a turn. Perhaps this is just wishful thinking on my part as I love that little spider! Now, I’m not a Volcanion player. But the word on the grape-vine is that Burning Shadows Ho-oh is going to be a nifty addition to Volcanion decks. Whilst its Phoenix Burn attack requires an additional fire energy compared to Volcanion’s Volcanic Heat attack, you’re doing 180 base damage instead of Volcanion’s 130. Ho-oh is blocked from using that attack again next turn but has two other usable attacks compared to Volcanion, who can’t attack at all after using Volcanic Heat. With Volcanion’s Ability boosting Ho-oh’s attack by 30 per fire Energy discarded, Ho-oh should have no problem one hit KOing anything it comes up against. Tapu Fini is not the most groundbreaking of Pokémon in this set. However, it has two interesting attacks. Hydro Shot will do 120 damage to ANY Pokémon at the cost of discarding two Energy attached to it. Normally that would be horrible but now we have Aqua Patch to put those energy right back on, and Fisherman to get them out of the discard pile too. It’s GX Attack, Tapu Storm GX, shuffle the opponent’s Active and all cards attached to it into their deck. You don’t get a prize for doing so, but it’s an excellent stall technique. I’m pretty sure that Tapu Fini will see some amount of play in decks such as Lapras-GX, and Alolan Ninetales-GX. EX/Bronzong. Necrozma is a better Genesect. It’s Ability makes it immune to damage from Colourless Pokémon. So long Drampa-GX and Tauros-GX! It’s first attack requires three colourless energy to do the following: Discard all Psychic Energy attached to this Pokémon; this attack does 60 more damage for each Psychic Energy discarded in this way. Yes, that’s a bit of set up. Guess what? Metagross-GX attaches Psychic and/or Steel Energy from the discard pile to the Active. Boom! You have the makings of a targeted, modular attack whose damage output you control. But even more excitingly – Necrozma’s GX attack does 100 damage to all of your opponent’s GXs and EXs, ignoring all effects on them including Weakness and Resistance. Now THAT’s a brilliant early-game attack. This really is a card to watch out for in Burning Shadows. Players in Japan, who received this set long before we did, love it. 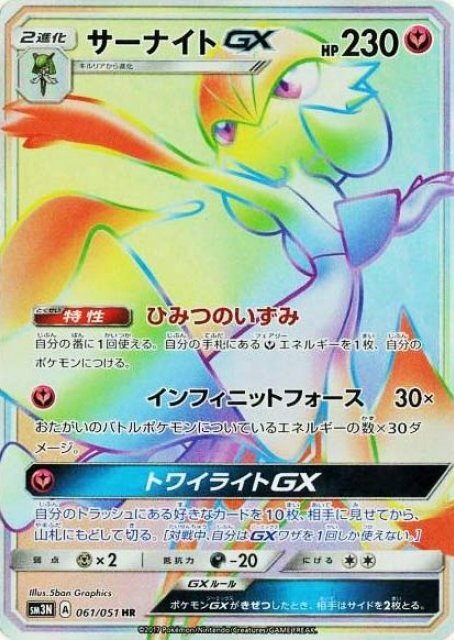 Gardevoir-GX came first in the Japanese National Championships (remember that their blocks are different to ours, so all cards from XY-on are currently legal in Japan). Easy to set up with Diancie from the same set (or Wally, or evosoda), Gardevoir-GX has an amazing Ability that lets you attach extra Energy every turn. Good news, as her first attack is a copy of Mega Mewtwo’s “Psychic Infinity”. 30x the Energy attached to both Active Pokémon. If MMewtwo and the similar Yveltal-EX decks are anything to go by, this is going to be meta-defining. The existence of Metagross-GX, which Gardevoir will be weak to, may hold the deck back slightly, but Gardevoir should have speed on its side against most other decks. This card is going to see play at Worlds. It’s a horrifying combination Seismitoad-EX and Giratina-EX. Noivern’s first attack, for a Double Dragon Energy (or one Dark Energy, one Colourless) does 50 damage and stops the opponent from playing item cards from their hand during the next turn. Its second attack does 120 damage for a Double Dragon and an Energy of your choice (or one Psychic, one Dark, one Colourless) and stops your opponent from playing Special Energy cards from their hand during their next turn. The GX attack is a little lacklustre, doing 50 damage to all the opponent’s Pokémon but even so my goodness is this a powerful control card. After rotation we lose Double Dragon Energy in Standard but who knows! A reprint may be in the near future. I love what the Alolan region has done to Ninetales. And the Burning Shadows Ninetales is not awful – just kind of meh. Like Plasma Blast Suicune before it, this Ninetales is immune to EX (and now GX) Pokémon thanks to its Ability. This may see some use in Ninetales-GX decks to wall opponent EX/GXs. Also like Suicune it’s only attack requires a Water Energy and two Colourless to do Aurora Beam, this time for 80 damage instead of 70, but aside from the ability the attack is lacklustre. With rotation taking away the option of Full Retaliation Gyarados, TPCi have decided to print a slightly worse version. Burning Shadows’ Gyarados requires a DCE to do 50x the number of magikarp in your discard pile. I’m sure you can see the problem here. However, if you could pair it with something to tank whilst you Rescue Stretchered some Magikarp and Gyarados back you might be able to make this work? I guess? I’m not convinced that you could stream the attackers well enough, but I enjoyed the slightly Rambo style of previous Gyarados decks so if someone can make this work it’ll be fun if nothing else. As the damage is really limited by the number of Magikarp you can play, however, it’s unlikely to see the success of its former reincarnation. I know they’re preparing for the 2018-2019 season when BKT Zoroark is rotated, but having tested Dusknoir I’m just not convinced that Zoroark’s replacement is going to be nearly as good. Dusknoir has HP that is somewhere between bad and average for a Stage 2 at 150HP. It’s Ability, while not Stand In, is interesting (once per turn look at your opponent’s hand and place a Basic Pokémon there onto their Bench). Its Mind Jack attack is also 30 + 30 more for each of your opponent’s Benched Pokémon. However, it requires a Psychic Energy and a DCE to pull off as well as being, well, a Stage 2. Add to that a retreat of 3 and the loss (on rotation) of Sky Field and you’re just better off playing Zoroark. Maybe I am missing something here, but Marshadow-GX just doesn’t quite do it for me. Marshadow’s attacks are ok but not the most special, and its HP is only 150. The important bit of Marshadow’s card is its Ability: this Pokémon can use the attacks of Basic Pokémon in your discard pile if you have the right energy. That means that this card is really versatile! I don’t think it will see tier 1 play – it’s let down by its HP and the move away from Basic Pokémon attackers – but there’s no denying that it’s a powerful card. This card briefly reignited my interest in my first ever deck – Sceptile-EX. I wanted desperately the find some combination of Sceptile, Ariados and Seviper that would get me guaranteed 1HKOs, but then I remembered that even with Laserbank Sceptile just couldn’t do it. Alolan Muk got me really interested on first appearance. And there are probably ways and means of getting that 1HKO every turn but… it seems like a lot of setup. Muk’s attack basically does (for a Dark Energy and two Colourless): 10 + 70 more damage for each Special Condition affecting your opponent’s Active Pokémon. Now, paired with Salazzle you should be able to do 210 on a good day, and I’ll probably do a BDIF write up of the idea at some point soon, but it’s just too conditional for me. Experience has told me that decks like this struggle to do well. But then, who am I? I could be proven completely wrong. I want to like this Darkrai, I do. Turbo Dark was my favourite deck for ages. But I just don’t see what the GX adds to the game. It resurrects itself complete with a Dark Energy which is good, but its main attack is 130 damage for two Dark and a Colourless, which is completely lacklustre. The GX move Knocks Out the opponent’s Active if they’re affected by a Special Condition. That’s cool, but conditional and obviously you can only use it once. I just don’t see the appeal of this Darkrai, but I hope I’m proven wrong. Unlike my much younger self who just liked collecting Pokémon for the Pokémon, Trainers are pretty much the most important part of a set for me now. Burning Shadows is bringing us some interesting additions and some reboots of old favourites. Let’s take a look! Acerola is basically AZ. Put a Pokémon (with damage on it this time) and all cards attached to it into your hand. Awesome! In a game of high HP attackers, Acerola can rescue them from certain KO and let you replay them straight away. AZ was a popular card and Acerola will be too. It’s ya boiiiii Guzma! I love this card. Everyone should love this card. Guzma is a better Lysandre – you can pull in any Pokémon from the Bench into your opponent’s Active spot and then you can switch your Pokémon for a fresh one. I’m probably going to be running three in every deck, especially after rotation. Well, fire needed a boost apparently. Kiawe is an interesting card and I’m pretty sure more than a couple Volcanion players etc will be thinking about a Turn 1 Kiawe. As he attaches four Fire Energy from to one Pokémon and simultaneously ends your turn, I think this is a personal call and I’m not sure I’d run it personally, but in the right deck with the right circumstances it will be absolutely brutal. I haven’t seen that much hype around Olivia, but I personally really like her. You can search your deck for any two Pokémon-GX and put them into your hand. Whether you need that Metagross-GX or that Tapu Bulu-GX, this is a good card. Po Town has a little space in my heart. Three damage counters on anything that is evolving is brutal in a meta defined by Evolution Pokémon. Many of the decks currently running Team Magma’s Secret Base will probably switch to Po Town after rotation, so this is definitely something to factor in to your equations! Any Stage One gets +40HP? Sweet. This Tool card is going to see quite a bit of play, especially in Eeveelutions decks. However, I’m not sure it trumps Choice Band for most people so I imagine it won’t see as much play as it otherwise would. Dumbbells has the same problem as Fighting Fury Belt – it’s easily Field Blowered off. Still, a card that has great potential. This set is going to shake up the meta once again for Worlds! I don’t think we’ll see the chaos we did after the release of Guardians Rising, but get ready to see some big changes to the meta. I can’t wait! Last Meta Monday, I talked about which decks made up the meta. Today I want to delve a bit deeper and discover which trainer cards the meta relies on. Using science (and magic) we will work out how to build a meta-worthy trainer line for your deck. Broadly speaking, there are several categories of trainers which every deck needs to think about. Draw support is vital so that we can cycle through our deck and find the cards we need to win the game. Search effects let us look through our deck to pick out individual cards. Switch trainers keep our Pokémon moving (no one wants to get stuck in the Active spot!). Healing recovers the HP of our Pokémon. Disruption affects our opponent’s ability to play the game. Tech cards help to cover bad match ups. When you start playing the Pokémon TCG trainers can seem like the boring bit. You’re playing because you like Pokémon, right? But trainer cards are vital to the success or failure of your deck. The number of trainer cards included in winning decks recently has certainly been affected by the release of the latest sets. At Anaheim, the first US Regionals after the release of Sun/Moon, people played on average 10 supporters and 24 item cards. At Salt Lake City and then Roanoke we saw the almost exactly same numbers. (11/12 supporters and 24 items). After the release of Guardians Rising, we saw fewer items in play as people were afraid of the power of Trashalanche. At Seattle we saw on average 12 supporters and 20 items, and at Madison the average was 12 supporters and 19 items. Let’s go further. Draw support is probably the most important category of trainer in the game. Almost every deck is running seven draw supporters at minimum, with counts going as high as 10 – 1/6 of deck space. With rotation around the corner, they are only set to get more important as we will be unable to recycle our supporters with VS Seeker. I fully expect counts to increase. However, let’s take a look at how many draw supporters decks in the current format are running. There are two cards in particular that we need to look at. Professor Sycamore allows us to discard our hand and draw seven new cards. This is an incredibly powerful trainer which decongests the deck of all those cards which we don’t need right now. Seven cards is also a large hand of cards which gives us a good chance of drawing the cards we’re looking for. N is another incredibly powerful trainer card. It requires both players to shuffle their hands into their decks and then draw cards equal in number to their remaining prize cards. This has three main advantages. First, it is a guaranteed six new cards early game, a number not to be sniffed at. Second, it doesn’t make you discard your hand. This is really useful if there are cards you just can’t afford to throw away. Third, it is a brilliant way to disrupt your opponent if they have few prize cards remaining or if they have just searched out specific cards to use next turn. The average count of these cards at Seattle and Madison Regionals was four Sycamore and three N. There were however variations including 4/2 and 4/4. At the North American Internationals the average count was 4 Sycamore and 4 N.
Another draw supporter which sees play is Professor Kukui. Professor Kukui featured in 50% of the top eight decks at North American Internationals. This versatile card allows you to draw two cards and inflict an extra 20 damage on your opponent. The top players usually only have one copy of Kukui in their deck. Ask a good player what other supporters they include in their deck and you can usually assume that they will say Lysandre. Lysandre allows you switch one of your opponent’s Benched Pokémon into their Active spot so that you can attack it. This is great as it allows you to take easy Knock Outs on low HP or damaged Pokémon hiding at the back. It also allows you to stall for time by pulling in Pokémon with a high retreat cost (and preferably one with no chance of attacking!) This card has often made the difference between a win and a loss at high powered tournaments and continues to be an important card in the format. Lysandre has been on average a two-of in every recent event. The card will rotate out at the end of this season. However, his replacement Guzma, is even more powerful! When you use Guzma you can switch your opponent’s Pokémon while also switching your Active Pokémon with one on your Bench. Great for saving your damaged Attacker and putting in a fresh Pokémon! With VS Seeker rotating out as well, I wouldn’t be surprised if Guzma becomes a 3-of or 4-of in every deck. With the rise of Pokémon-GX we’ve also witnessed the rise of Brigette. With Brigette players can find three Basic Pokémon (or one Basic Pokémon-EX, almost a complete waste of a supporter!) and place them on the Bench. There are two great things about this. Being able to place three Basics on the Bench is a massive boost to your ability to set up quickly while also removing the cards from the deck so you can draw more useful things. The other great thing is that as Brigette places the Pokémon straight from deck to Bench, this means that you avoid any negative impact of coming into play. For example, if the stadium Team Magma’s Secret Base is in play, you would put two damage counters on every Pokémon you play from your hand to the Bench. With Brigette, you are not playing from the hand so your Pokémon take no damage. Brigette is a one-of in almost 50% of top eight decks since Guardians Rising was released. Hex Maniac is one of those cards that can get you out of a really tricky situation. The card turns off all Pokémon Abilities (both yours and your opponent’s) for a turn each. It buys you time. Item locked by Vileplume? Hex Maniac lets you play items. Can’t afford to take damage from your opponent’s Benched Decidueye-GX? Hex Maniac stops them from placing damage counters for a turn. Overall it is a really good utilty card made all the stronger by Tapu Lele-GX’s ability to find her. Hex Maniac spiked in Seattle where 88% of the top eight played her, but on average she is a one-of in around 30% of top eight decks since then have played the card. 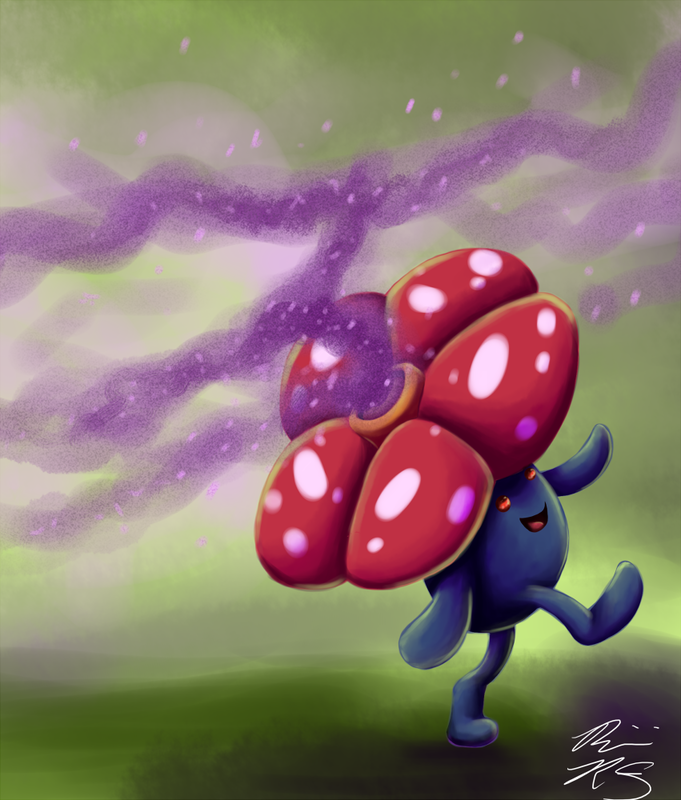 Although the most powerful card this trainer negates is rotating in Vileplume, I imagine we will see a two-of at least in post-rotation decks. In every deck there are item cards dedicated to finding Pokémon. They are inescapably useful in a format that requires speed and consistency. Ultra Ball is a four of in pretty much every deck. The card lets you find any Pokémon in your deck at the cost of discarding two cards from your hand. This means that not only can you pitch two cards you don’t really want to use but you can set up any Pokémon you need. 28% of other top eight decks since Sun & Moon released have featured other kinds of search balls. Any deck playing Decidueye-GX/Vileplume is running two to three Level Balls, and Vikavolt/Tapu Bulu-GX also makes use of them. Level Balls let you find any Pokémon with an HP of 90 or less. GreninjaBREAK lists include up to four Dive Balls, which let you find any Water Pokémon. These items provide less versatility than Ultra Ball but are extremely useful in specific decks. While not every deck needs search balls other than Ultra Ball, the average across the US Regionals since Sun/Moon and the three Internationals says that you’ll probably want one. Obviously it’s highly unlikely that you’ll just run a one count, but that’s statistics for you! Tools are an integral part of many strategies in the Pokémon TCG. These powerful Trainer cards attach to Pokémon in play to generate a specific effect. FFB gives Basic Pokémon an extra 40HP AND an extra 10 damage to their attacks. Choice Band lets any Pokémon it’s attached to hit for an extra 30 damage against EXs and GXs. These are obviously really strong cards that can completely swing matchups. FFB has declined slightly in popularity due to the proliferation of Field Blower, which can knock off any two of stadiums and tools. This could in theory allow a person to take all six prizes in one round. But it is still popular with decks that run entirely on Basics, such as Turbo Dark and Volcanion. Before the release on Guardians Rising, 45% of top eight decks were running Fighting Fury Belt. Choice Band has seen immediate success since its release in Guardians Rising. 30 additional damage is a big deal, and there are no shortage of EX and GX decks around for you to reach that extra damage. Choice Band has probably stopped some people from running Fighting Fury Belt as it is often seen as the better choice. If FFB is Field Blowered off you probably haven’t benefitted from the extra HP yet, but Choice Band will do an extra 30 damage to EX/GXs every round that it is attached. If you aren’t running Fighting Fury Belt, the chances are you’re running Choice Band – or both! Since the release of Sun/Moon, 63% of decks run at least one of those choices, and since Guardians Rising 92% of decks are running them. Taking an average, most people are running two of these cards, though counts of three or four and extremely popular. The third most popular tool card is Float Stone. This tool gives the Pokémon that it is attached to free retreat, meaning it won’t get stuck in the Active spot if it is damaged or unable to attack. With a lot of Pokémon having retreats costing two or even three energy to retreat, this is an important possibility. Decks also run very small counts of energy and often can’t afford to make the attachment to retreat. Float Stone is so important that since the release of Sun/Moon, 89% of top eights have run it, most running two copies. Normally, when a Pokémon-EX evolves to a Mega Pokémon-EX, your turn ends. However, with the nifty attachment of a Spirit Link, you can keep on going without needing to end your turn. Brilliant, eh? Every deck running Megs is running Spirit Links – usually the same number of Links as Megas. However, in recent times Megas have been disappearing from the meta. Mega Mewtwo-EX is weak to trashalanche Garbodor and just can’t keep pace with it. Mega Rayquaza-EX is extremely vulnerable to its Sky Field being Field Blowered away, or being KOd by Zoroark. With no new EXs being printed (at least for the time being) it looks like Mega Evolution Pokémon have had their day. There are inevitably going to be times where you are down on your luck in Pokémon. Your main attacker has been knocked out, your energy has been removed to the Discard pile, the two cards you really need are no longer in the deck. When that happens, you need a trainer that will help you recover. For this reason, you’ll find on average three recovery trainer cards in top eight decks. EXP. Share – (tool card) attach an energy to this Pokémon from another Pokémon when that one is KOd. Puzzle of Time – if you play two at once you can take any two cards from your Discard pile into your hand. As you can see, there are a whole range of really useful trainer cards here. As you can only have four of any Pokémon in your deck, you need to be able to recycle them. There are lots of trainers on this list that let you do that. The one seeing the most play at the moment is Rescue Stretcher. When you’re in a pinch, Rescue Stretcher lets you pull one Pokemon from the Discard pile into your hand so that you can play it immediately. When you have a little more time, Rescue Stretcher lets you shuffle three Pokemon from your Discard pile into your deck. You can also use the Supporters Karen or Brock’s Grit, who also recycles energy. Getting energy back from the Discard pile is also really important. While you can run as much energy as you like, it takes up precious deck space and so most decks run the minimum they can afford. This means that, if you take an average across all Internationals and US Regionals, top decks are running seven Basic Energy and 3 or 4 Special Energy. This isn’t actually the case for many decks, but somewhere between four and eight appears to be normal. Decks which do damage based on the amount of energy they have, or which need to continuously cycle energy, tend to run 12 energy. With these relatively low counts, it is important to have cards which can pull your energy back from the Discard pile. Alongside items like Special Charge, Super Rod, Aqua Patch and the rest you can also use Supporters to recycle energy such as Fisherman, who puts four Basic energy from Discard pile to hand or Brock’s Grit to shuffle some back into your deck. VS Seeker is probably the single most versatile card in the Standard format. VS Seeker lets us take Supporters from the discard pile so that we can play them again. Recently there has been some move to playing three VS Seeker rather than four, but on average people still play four. With the set list of the next set having been posted, we know that VS Seeker will be missing from the Standard format at least until October. Every deck is therefore going to have to adjust their supporter lines. Stay tuned on how this actually happens! VS Seeker was first printed in the Fire Red/Leaf Green era so I am absolutely sure we will see a reprint in the near future. The other card that lets us recycle cards which are not Pokémon or Energy is Puzzle of Time. If you play one Puzzle of Time, you can look at the top four cards of your deck and reorder them as you wish. But if you play two Puzzle of Time together you can take any two cards from your Discard pile to your hand. This is pretty much the only way in Standard to recycle item cards (although Eco Arm can pull back Tools) or stadiums and that makes it really powerful, though not easy to pull off. Stadiums are a trainer you play which stays in play until replaced or Discarded and which affect both you and your opponent. There are some great Stadiums out there, and some really brilliant strategies people have employed using them. The moment popular stadiums since the release of Guardians Rising are Team Magma’s Secret Base, which puts two damage counters on any Basic Pokémon played from the hand onto the Bench; and Forest of Giant Plants, which allows Grass Pokémon to evolve the same turn they come into play. Both of these featured in six different decks out of the 24 top eight decks across three different events. Team Magma is primarily useful in decks that run Drampa-GX, who hits for extra damage is someone on their Bench has taken damage previously. Another deck that uses it is Full Retaliation Gyarados, which do damage based on the amount of damage on Benched Magikarp. Forest of Giant Plants is used mostly in Decidueye-GX/Vileplume decks to evolve turn one and get that item lock as quickly as possible. Other stadiums of note recently have been Altar of the Moone, which lets Pokémon with any Psychic or Dark energy attached retreat for two energy less; Brooklet Hill which lets each player search for a Basic Water or Fighting Pokémon and place it on their Bench once per turn; Parallel City which has different effects depending on which way up it faces; and Rough Seas which heals Water and Electric Pokémon every turn. Stadiums are obviously dependent upon both the rest of the meta and the type of deck you’re running – more so than most trainer cards. However, on average most decks play three copies of Stadiums. Before Guardians Rising came out, 100% of decks were running these Item cards. Nowadays, only 46% are running them, preferring a slower set up to avoid the mounting damage caused by Trashalanche Garbodor. However, they remain important to the meta. So which cards are we talking about? Trainer’s Mail and Acro Bike give us the chance to find the cards we need. Max Elixir lets us get more than one energy attachment a turn so we can get energy out quicker. Rare Candy lets us skip an evolution step to go from Basic to Stage 2. These cards are obviously slightly more specialised to individual decks – for example, Turbo Dark needs Max Elixir and Metagross uses Rare Candy – but used correctly they can give players the edge they need. The average number of Acceleration trainers used per deck is four. Trainers that deny your opponent resources are not overly popular in the meta at the moment. There are plenty of options out there though. Supporters include Team Flare Grunt to discard energy; Team Rocket’s Handiwork to discard cards from your opponent’s deck and others. Items include Enhanced and Crushing Hammers to discard more energy from your opponent; Red Card to put your opponent down to four cards in hand and more. However, there is one item card that towers over them all. Field Blower has featured in top eight decks a whopping 75% of times since its release in Guardians Rising. Most decks are running an average of two. Why? Because it has two fantastic effects. Field Blower lets you discard two of any Tool cards and Stadiums in play. Need to stop Garbotoxin from working? Blow off their Tool. Want to keep a big retreater stuck in the Active? Field blower off their Float Stone. In theory with Field Blower getting rid of Fighting Fury Belt, as mentioned elsewhere in the article, you could take all six prizes in the same turn. Each deck is unique and requires a different set of Trainers, Energy and Pokémon. What we have provided here is just a starting point for those wishing to build a deck that should perform well. As NA Champion Tord Reklev said, consistency is key. With changes to Standard coming very soon, I think this is overall the most important thing we can remember. The list at the start of the article is probably not the most consistent list and that’s why nobody has ever won (as far as we know!) running this exact list. But it could be the start of something great and there’s only one way to find out! Until next time, be the very best! It’s fitting that our first post is about the future and rotation of Pokémon 2017-18. 2018 is going to be a big season for us. We’re going to be hitting the competitions and reporting back to you. We look forward to bringing you the latest news and products! Last night (BST) The Pokémon Company International announced which expansions will be leaving the Standard format and which are safe for another year. TPCi generally rotates three to four sets a year (or season). This is usually done in the themed blocks in which they were released. This season we will see Primal Clash, Roaring Skies, Double Crisis and Ancient Origins rotate out leaving BREAKThrough, BREAKPoint, Generations, Fates Collide, Steam Siege, Evolutions, Sun & Moon, Guardians Rising and all future sets in the format. We also retain all Black Star Promos XY67 and above, and SM01 and up. As you can see, many decks currently winning competitions are affected by rotation. We will see many decks either disappearing entirely or losing some important cards. Vespiquen variants, the deck that does damage based on the number of Pokémon in its discard pile, has completely rotated. Both the main attacker and several utility cards rotate including Unown (Farewell Letter); Vaporeon/Flareon AOR; Shaymin-EX; VS Seeker and Acro Bike to help quickly cycle through the deck. Mega Rayquaza has also rotated as it has lost MRay, Skyfield, Shaymin-EX and Mega Turbo. Full Retaliation Gyarados, winner of the Birmingham Regionals back in June, rotates alongside Rough Seas, Dive Ball and Team Magma’s Secret Base which puts the vital damage on the Benched Magikarp. Less popular decks also waved goodbye to are Sceptile-EX/Ariados, Wailord-EX, Primal Kyogre-EX, Primal Groudon-EX, Sharpedo-EX and Mega Ampharos-EX. Let’s turn to decks which haven’t lost their main attackers but have been affected by rotation. Decidueye-GX loses its partner in crime, Vileplume. The combination of the two has proved to be a formidable opponent. Decidueye players will be glad that pure Decidueye-GX has taken some top 8 finishes of its own, but with Vileplume and Forest of Giant Plants rotating, Decidueye definitely loses steam. Decidueye is now a Stage 2 with a relatively mediocre attack that can no longer start using its Ability turn 1 to place two damage counters per Decidueye per turn. 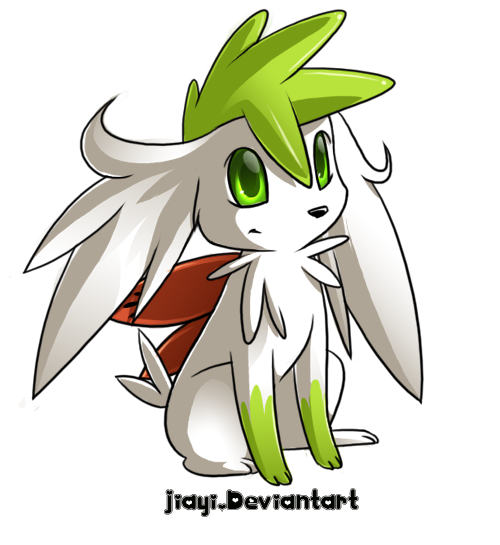 With no Shaymin-EX, Level Ball or Trainers Mail to help set up, Decidueye is going to need to adapt to survive. Darkrai-EX has largely moved away from Giratina-EX but rotation has removed the choice. Both Giratina-EX and Double Dragon Energy are rotating. Darkrai does damage based on the number of dark energy on all of its Pokémon. For Darkrai’s attack DDE counts as dark energy (and every other energy) when attached to a Dragon Pokémon. Giratina-EX was also a hard counter to Mega-EXs with its Ability Renegade Pulse blocking all effects of attacks, including damage, from Megas. But with the meta shifting away from Megas, Giratina-EX became less and less relevant and its three energy retreat cost caused it to become a Lysandre target for decks wishing to stall. Still, Darkrai-EX will be sad to see the option taken off the table in Standard. GreninjaBREAK will be pleased to see Hex Maniac rotate out of Standard as Ability lock is definitely the bane of that deck; but with Dive Ball and Rough Seas rotating Greninja will also take a small hit to its staying power. Mega Mewtwo-EX has declined rapidly in popularity due to its Weakness to Trashalanche Garbodor. In October we will gain Mewtwo-GX which may see some play in this deck. However, the loss of Mega Turbo and Shrine of Memories (removing access to its damage change attack for healing) may see us say goodbye to MMewtwo for good. The loss of VS Seeker affects all decks in the meta and many – particularly the more glass canon decks – will mourn the loss of Teammates. Lysandre rotating will affect everyone too. However, the next set, Burning Shadows, brings us Guzma. Guzma allows the player to swap their opponent’s Pokémon and then switch their own Pokémon too. Decks running Drampa-GX for its Berserk attack will lose Team Magma’s Secret Base which puts the damage on the Bench allowing it to hit for 150hp. However, there was already a move to the alternative of Rainbow Energy. Rainbow Energy requires an extra energy attachment but allows you to be more precise about where the damage falls on the Bench. Finally lets talk about the near misses: cards which survived rotation by just one set or which would have rotated except for reprints in later sets! Yveltal Fright Night, Oblivion Wing and Yveltal-EX all survived rotation despite two of them initially being printed in XY Base Set and should be a strong deck going in to rotation. Zoroark narrowly avoided rotating as its only print was in BREAKThrough, the next set after the rotated ones. With Hex Maniac rotating and the already wide proliferation of the deck in the recent meta, Zoroark should be a good play in the new Season. Pair it with Umbreon-GX, Drampa-GX or one of the multiple other options available to it. Thanks to the DCE cost of Zoroark’s Mind Jack attack, Zoroark is easily splashable into a range of other decks. Alternatively, in a dark deck Zoroark can wreak havoc with ZoroarkBREAK’s Foul Play attack. 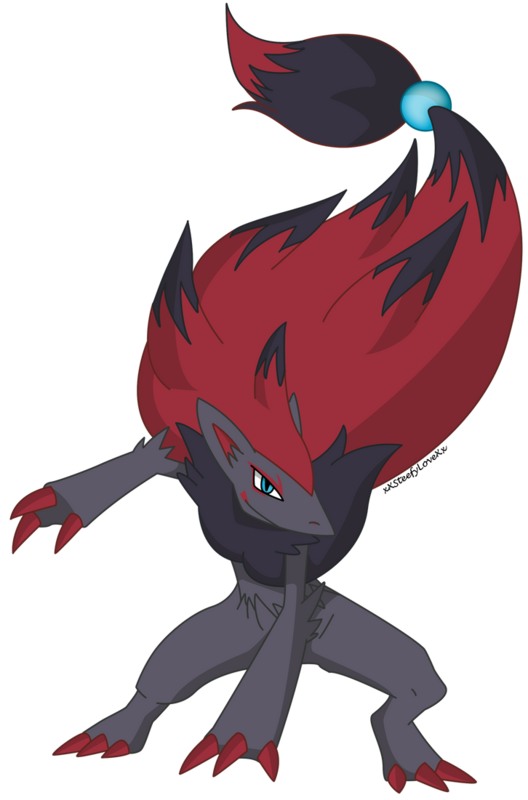 Foul Play allows Zoroark to copy any of the opponent’s Active Pokémon’s attacks for one dark energy. One card which Zoroark isn’t too pleased to see still in the format is Parallel City. However, MRay fell out of fashion and now rotates, meaning that few people choose to run Parallel City any more. EX heavy decks including Volcanion-EX are lucky in that the Soundrel Ring Hoopa-EX (who can search the deck for any three EXs) survives rotation thanks to a reprint as a Black Star Promo. Volcanion decks that run Scorched Earth will also be happy to see that it has survived thanks to a reprint in Fates Collide. Mega Gardevoir-EX also survives thanks to a reprint in Generations. MGard is definitely a powerful Pokémon whose Brilliant Arrow attack does 30 times the amount of Fairy energy attached to all your Pokémon. However, the rumour is that the coming Gardevoir-GX will be a popular choice at Worlds this year. Watch out for an article soon on this up and coming deck. With some interesting cards coming in the next sets and the meta wide loss of VS Seeker, rotation this year is sure to be interesting. Comment below and tell us how rotation will affect you and whether you’re pleased or disappointed with the announcement from TPCi!